An Egyptian film veteran and a highly-acclaimed media figure. 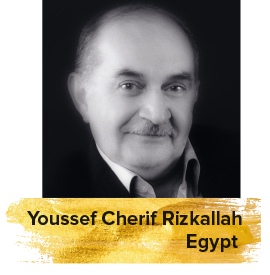 Rizkallah has been appointed as the president or the artistic director of some of Egypt's major film festivals. He penned down numerous articles which were published in various regional and international newspapers and magazines.